The effectiveness of a light source is defined by it’s luminous efficacy*. It is expressed in lumen per Watt (lm/W). 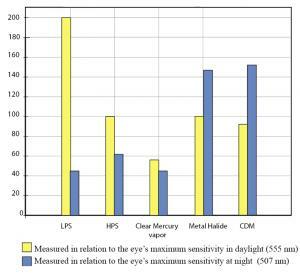 This is calculated in relation to the eye’s spectral sensitivity. Commercially, no respect is taken to the changes in the eye’s sensitivity in dark conditions, and thus only measure a lamps efficiency by the eye’s maximum sensitivity in daylight. This will lead to misleading results when it comes to lighting for dark conditions. As an example, the low pressure sodium (LPS) lamp is regarded as being the most energy efficient lamp on the market due to its high lumen-to watt output. 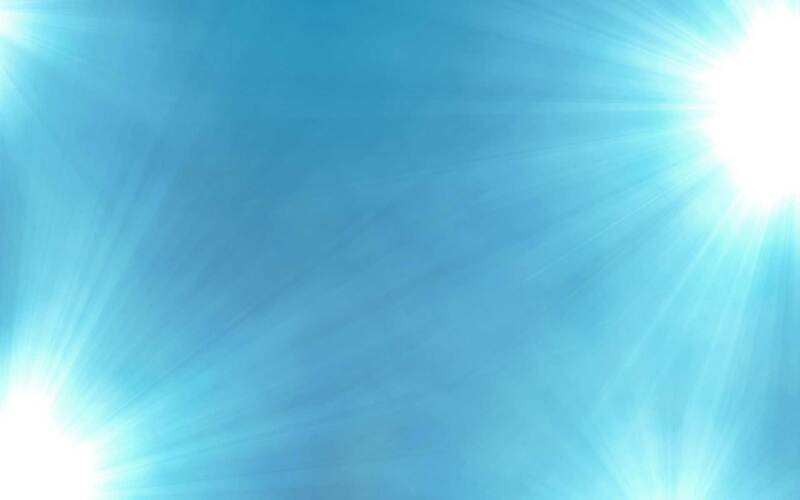 However, a low- pressure sodium lamp emits almost all of its radiant energy at a wavelength of 589 nm, for which the human eye has 77 per cent of the maximum sensitivity in daylight. This is one reason why such high luminous efficacy can be reached with low-pressure sodium lamps. In dark surroundings, however, it’s not very effective (see diagram to the left). *Luminous efficacy is a measure of the proportion of the energy supplied to a lamp that is converted into light energy. It is calculated by dividing the lamp’s luminous flux measured in lumens, by the power consumption, measured in watts. (Luminous flux= radiant flux × spectral sensitivity).